Since the Premier League introduced squad numbers in 1993, 14 different players have donned the No.9 shirt for Chelsea – and remarkably few have been successful. The shirt has become somewhat ‘cursed’, with players tending to struggle at the club while wearing it, despite their collective £170.5million in transfer fees. We’ve taken a look at each player and ranked them for their contributions during their time wearing nine at Stamford Bridge. Signed on loan from Juventus in January 2019, Higuain took the brave decision to take the No.9 shirt. Chelsea have the option to buy him permanently for €36million or extend his loan by a season for half of that. Should the Blues do either, it will surely mean Higuain has quickly climbed to the very upper echelons of this list. After an unsuccessful season on loan at Manchester United, Falcao was given another chance to prove himself to the English audience with Chelsea in 2015-16. However, his loan was incredibly unsuccessful, and the Blues unsurprisingly turned down the chance to sign him for £38million at the end of the season. With a wage of £140,000 per week, Falcao cost Roman Abramovich £800,000 per shot and £57,000 per touch of the ball, scoring just once in 12 appearances. Aged just 18, Di Santo made a £3.4million move from Chilean club Audax Italiano in January 2008, but he failed to score in 16 appearances in all competitions for Chelsea. He joined Blackburn on loan for the 2009-10 campaign and was then sold to Wigan before going on to appear for Werder Bremen and Schalke in the Bundesliga. 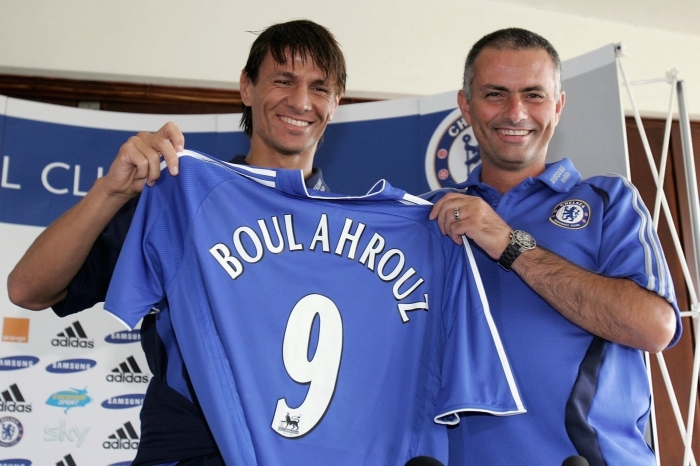 The most despicable of the lot is Boulahrouz, and his ranking is 98% based on the fact that we can’t bear to see a defender wearing the No.9 shirt. He was also extremely forgettable at Stamford Bridge, making 20 appearances in a solitary season. Four years after winning the league title, Blackburn were relegated and Sutton saw himself moved on to Chelsea for a £10million fee. The striker’s time at Stamford Bridge was a dismal one, lasting just one season and including one goal before he was moved on to Celtic the following summer. “I went into a team with the likes of Zola, Desailly, Gus Poyet, Dennis Wise, and a really good manager in [Gianluca] Vialli, so I don’t blame anyone else,” Sutton told us. After 129 goals in four years at PSV, Kezman joined Chelsea with a weight of expectation on his shoulders. In one season at the club, he managed just four league goals before being shipped out to Atletico Madrid, though he still labels the move “the best thing that ever happened to me. “I don’t know if I made a mistake because I moved away so quickly, but the transfer to Chelsea made my dreams come true,” he said. Cascarino struggled in his two seasons at Chelsea at the start of the Premier League era, scoring just eight times in 51 appearances. The striker went on to great success in France, though, scoring 61 goals in 84 appearances for Marseille, and adding another 44 in three seasons at Nancy. Yes, that’s right, a 24-year-old Sidwell was handed the No.9 shirt when he joined Chelsea on a free transfer in 2007. He lasted only one year, though, making 25 appearances in all competitions and scoring once before he was sold on to Aston Villa for £5million. The most expensive of the lot, Morata cost Chelsea a club-record £60million in 2017 but rarely looked capable of justifying the fee. 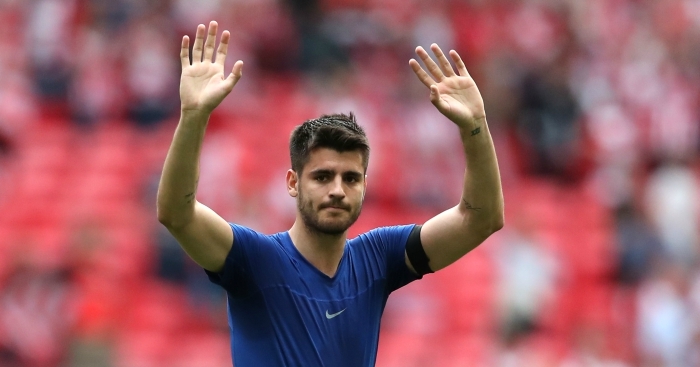 Morata displayed quality at times, managing a not disastrous 11 goals in his first season in the Premier League, but it’s fair to say he failed to fill Diego Costa’s boots. Crespo wore the No.21 shirt in his debut season at the club but was handed the No.9 following a year away on loan at AC Milan as Jose Mourinho attempted to convince him to stay. In total, he scored 25 goals in 73 appearances for the Blues before joining Inter on a temporary two-year deal, until his Chelsea contract expired. Stein was signed by Glenn Hoddle in an attempt to ease his woes in attack, and he certainly did that, grabbing 14 goals in 24 games immediately after arriving from Stoke. He left Chelsea having scored 25 times in two seasons before nine appearances without a goal in the 1995-96 campaign proved to be the end. Notably, it was not until after his debut season that Stein was handed the dreaded No.9 shirt. 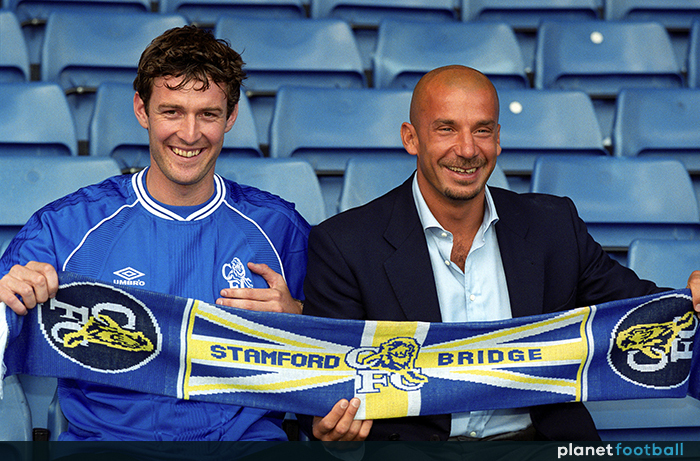 “I am pleased I was part of the journey,” Stein says of his time at Stamford Bridge. 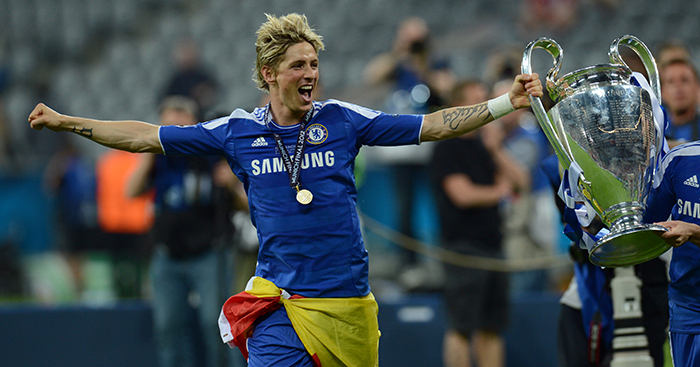 After a prolonged period of interest from Abramovich, Torres eventually joined Chelsea for £50million in January 2011. Widely regarded as a flop at the club, Torres in fact scored 45 goals in 172 appearances, which is a better record than many might realise. More importantly, he helped Chelsea lift the Champions League trophy for the first time in their history, scoring that memorable goal against Barcelona in the semi-final of the competition before adding nine goals the following season as his side won the Europa League. Vialli scored 40 goals in 78 appearances for Chelsea, while also taking up a player-manager role just 18 months into his time at the club. An icon of 90s football, Vialli was well-liked at Stamford Bridge, winning the FA Cup, League Cup and the Cup Winners Cup during his time as manager at the Bridge. He joined the club in 1996 and eventually left at the start of the 2000-01 campaign after falling out with a number of players. Another club-record transfer, Chelsea paid Atletico Madrid £15million for Hasselbaink in 2000, but unlike most of the others on this list, the Dutchman actually justified the fee, going on to score 70 Premier League goals in 136 appearances for the Blues. “I have great memories of my time at Chelsea,” Hasselbaink said in 2013. “I had four wonderful years there and I still go back. I was there just recently to watch them play, and I always get a great reception. We loved you too, Jimmy.